In the context of the EU project EveryAware, the EveryAware platform was developed by the KDE Group at the University of Kassel and the DMIR Group at the University of Würzburg together with the L3S Research Center at the University of Hannover. It was designed for collecting, processing, analyzing, visualizing, and understanding sensor data (objective) in combination with human perceptions (subjective data). 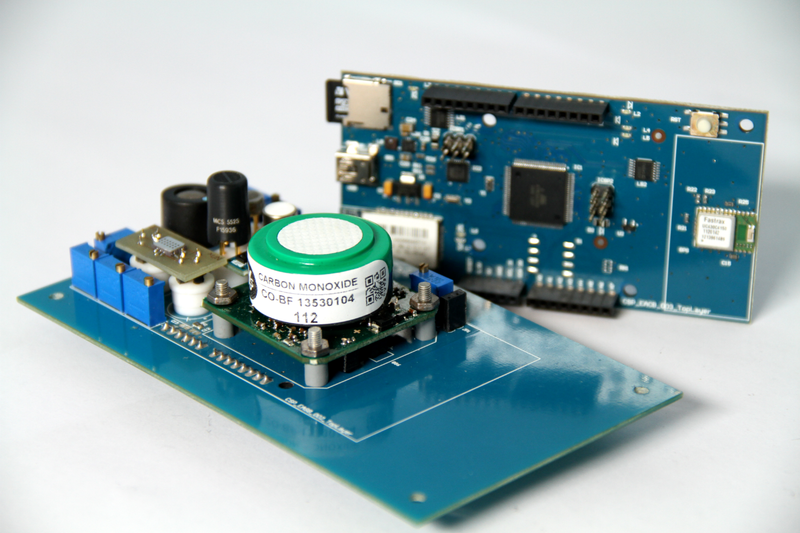 And it was used for applications like measuring noise pollution (WideNoise) and monitoring air quality (AirProbe). For more information on WideNoise and AirProbe, please see below. Since then, the EveryAware platform has come a long way. With Martin Becker as the lead developer, the DMIR Research Group has been continuously working on the EveryAware platform to make it bigger and better. Many students and PhD candidates (e.g., Hauke Mewes, Michael Steininger, Robert Leppich, to name just a few) have contributed by writing new apps, generalizing the API and visualization capabilities, and preparing EveryAware for real big data! The following paper is the preferred paper to cite when referencing the EveryAware platform. While we have a few follow-up reports, it is the main reference giving insights on the architecture as used during the EU project EveryAware. A Generic Platform for Ubiquitous and Subjective Data. In: 1st International Workshop on Pervasive Urban Crowdsensing Architecture	and Applications, PUCAA 2013. The WideNoise module of the EU project EveryAware was concerned with the analysis of the behavior of individuals involved in noise pollution sensing. 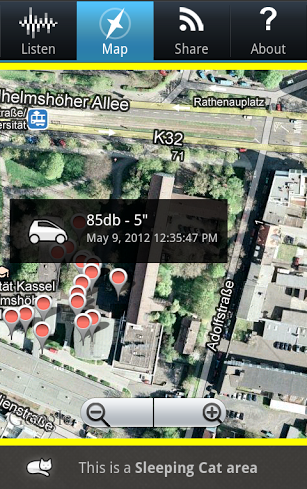 Citizens have been involved in noise measuring activities through the WideNoise smartphone application available for Android and iPhone. 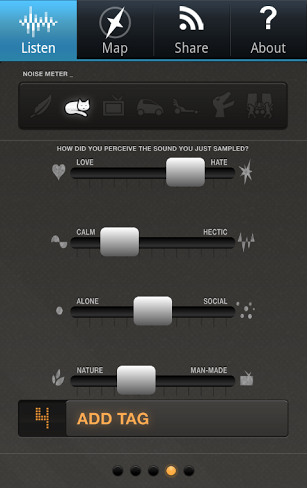 The WideNoise application has been designed to record both objective (noise samples) and subjective (opinions, feelings) data. The application has been open to be used freely by anyone and has been widely employed worldwide. In addition, several test cases have been organized in European countries. Based on the information submitted by users, an analysis of emerging awareness and learning was performed. The data showed that changes can be observed with regard to the way the environment is perceived after repeated usage of the application. 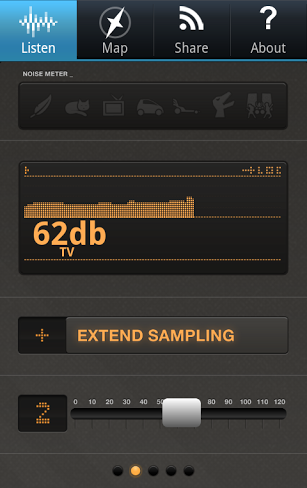 Specifically, users learn how to recognize different noise levels they are exposed to. Additionally, the subjective data collected indicated an increased user involvement in time and a categorization effect between pleasant and less pleasant environments. For more information see the reference article listed below. The EveryAware platform provided the backend, data processing capabilities as well as several visualizations including a concise map view. With the shutdown of the EveryAware platform, online statistics and visualizations are not available anymore. Also, the functionality of the mobile apps is currently limited. They only support measuring noise neglecting subjective information. However, we plan to bring WideNoise back online in the near future as soon as we find a group of motivated students (*fingers crossed* ;D). Awareness and learning in participatory noise sensing. 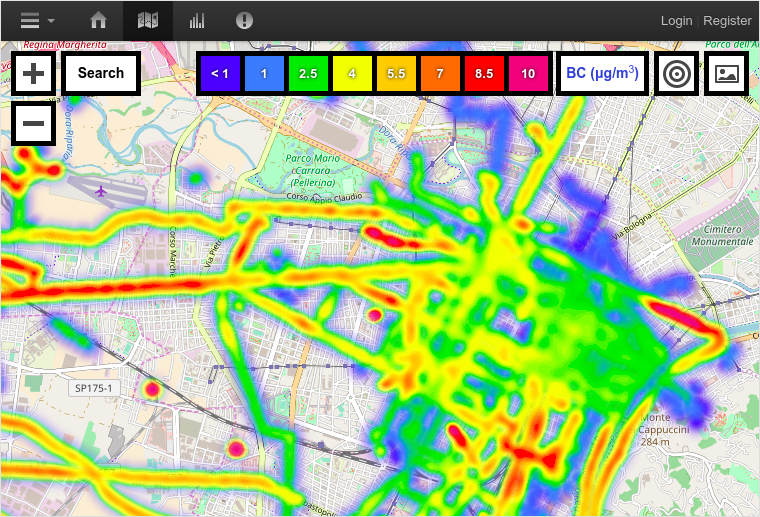 The AirProbe case study of the EU project EveryAware was concerned with air pollution monitoring using low cost sensing devices, combined with a web-based game (hosted on the specifically developed game platform XTribe) to monitor perceived levels of pollution. Mobile measurements were supported by an Android application (discontinued) and a sensor box developed in the context of the EveryAware project. The research goal, similar to WideNoise, was to study shifts in perceptions together with insights into emerging participatory patterns. Interesting effects related to inertia and to direct involvement in measurement activities rather than indirect information exposure were found, indicating that direct involvement can enhance learning and environmental awareness. For more information see the reference article listed below. Here we summarize the references listed throughout this article and provide some additional information sources and resources for you to explore. The three main references listed in the article concern the EveryAware platform, the main results of WideNoise as well as the main results of the AirProbe campaign. Participatory Sensing, Opinions and Collective Awareness. The data of the projects is available in anonymized form for research. Also users can request their data from us. 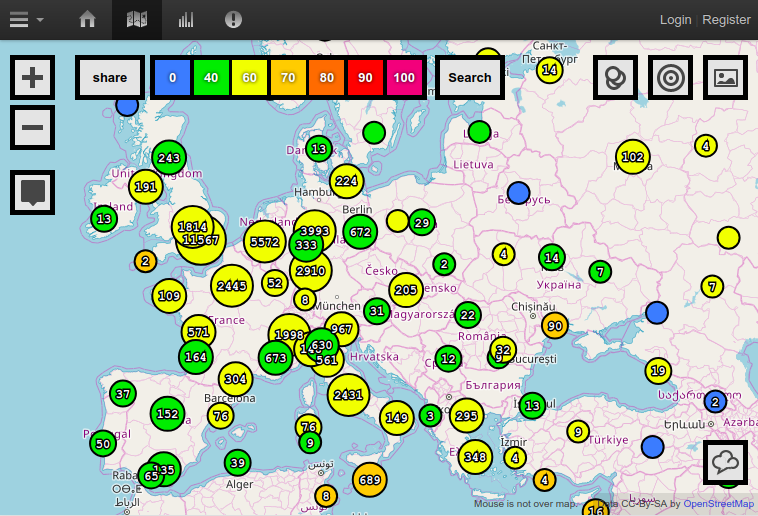 The data collected via the EveryAware platform during the EU project is available for research purposes. This particularly includes the data used to derive the results from the papers in the app section above.